Standard.Arms provide support while getting on and off the toilet.Easily attach to the toilet.Designed to be used in conjunction with regular toilet seats and lids.Supports up to 300lbs.Standard model - width between arms is 21". View More In Raised Toilet Seats. 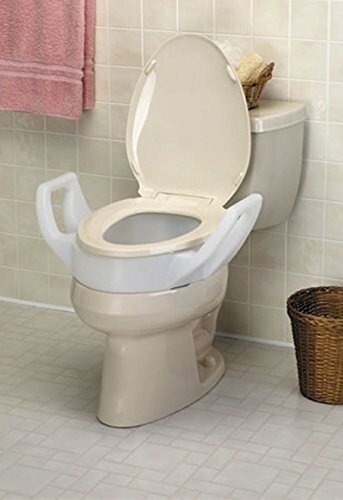 Standard Toilet Seat Riser - Easy Installation - Raises Your Seat 3.5"